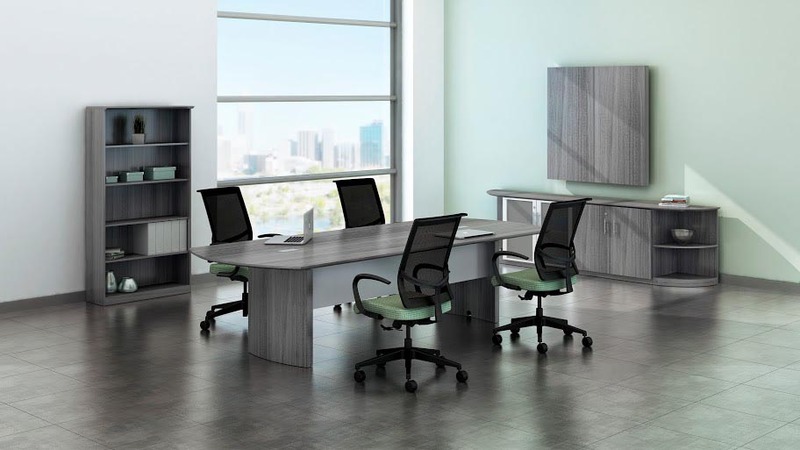 The Medina laminate conference room furniture features elegant lines with excellent durability, while offering plenty of opportunity for interaction and engagement. Perfect complement to most any décor. 42" x 120" x 29.5"
Grommet hole cutout size 4" x 8"